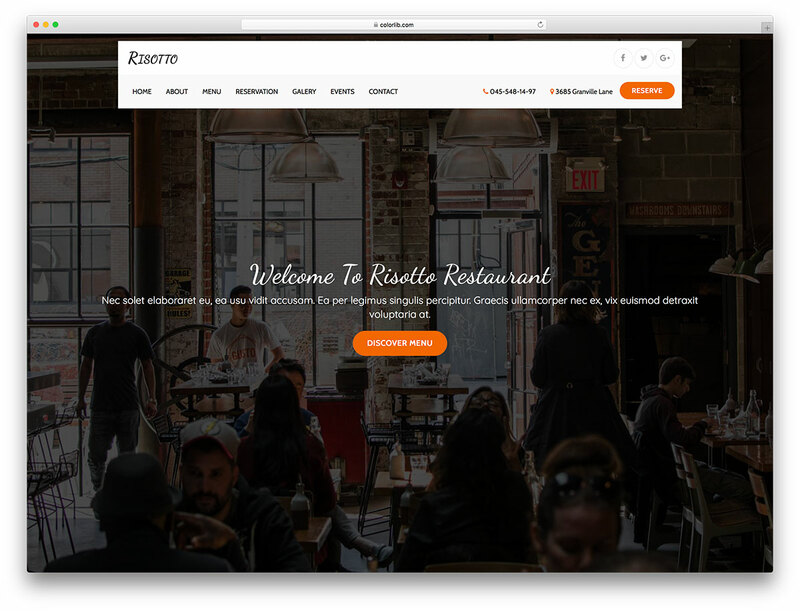 To end the hunt for the best free restaurant and food website template, go with one of the greatest on the market, Tasty. 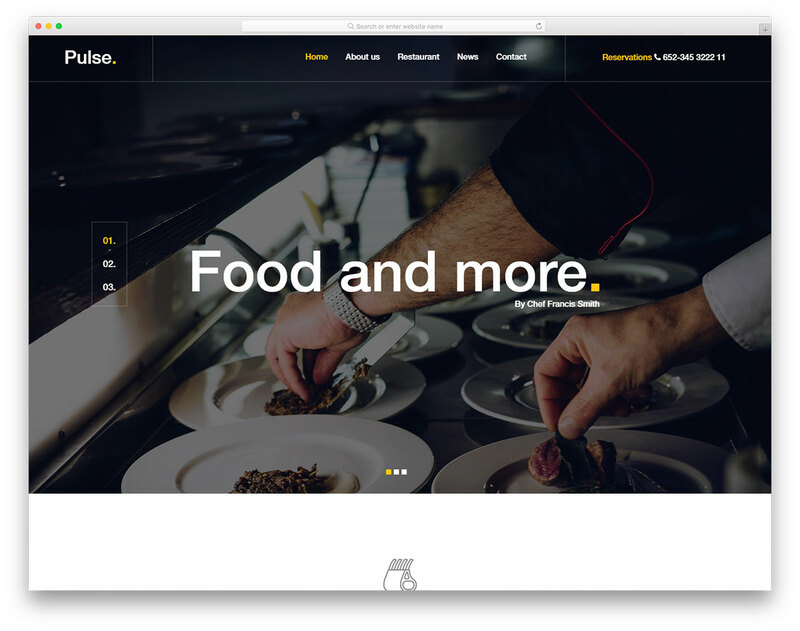 It is a Bootstrap-based, flexible, easy to use and highly adaptive tool for anyone in the industry. 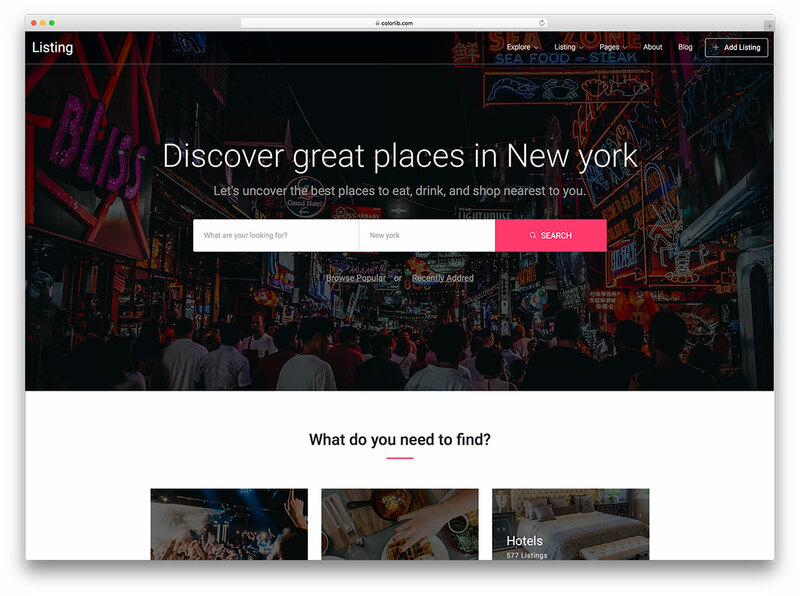 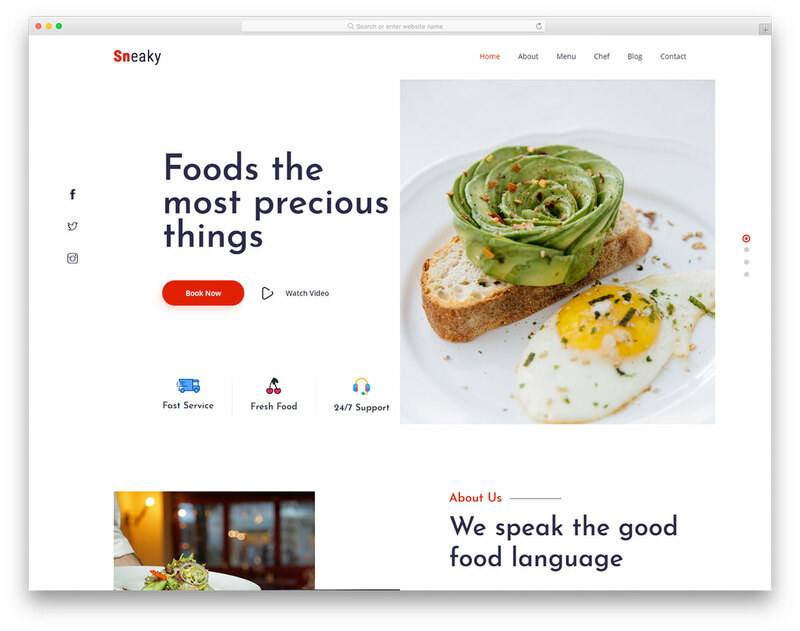 Perform a site redesign or launch a refreshing new one with the help from the jaw-dropping tool, Tasty. 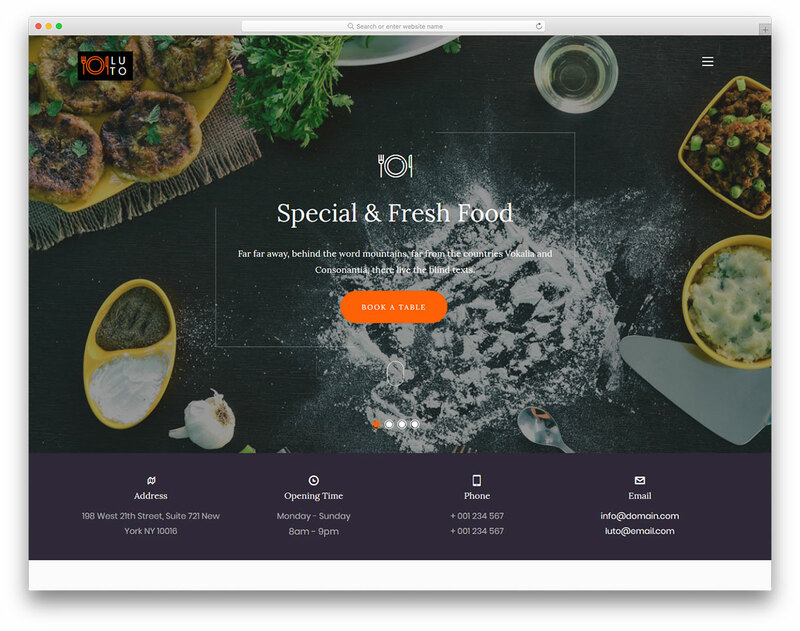 There is nothing else that needs to be said other than take action, download it and have an active restaurant website ready to go live in a few. 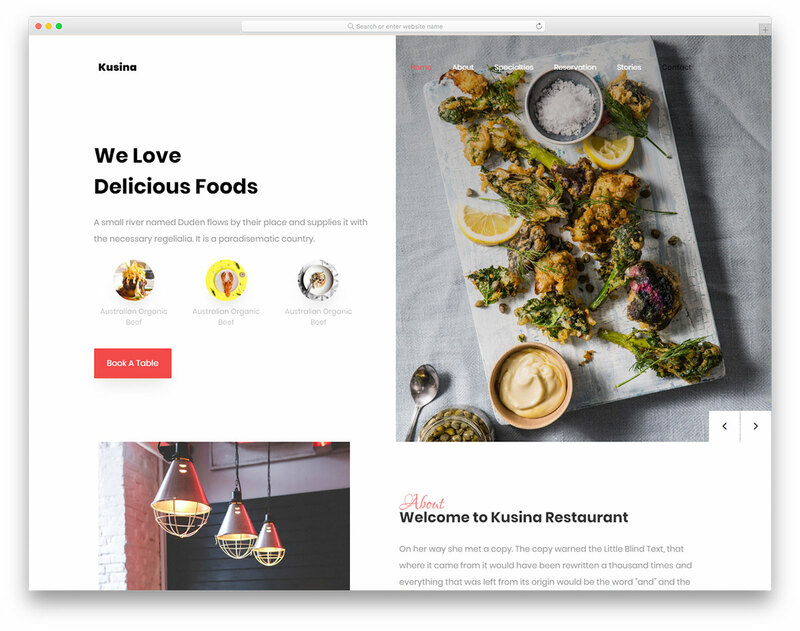 Massive slider, booking form, on scroll content reveal, nifty and categorized food menu and parallax effect, these are just a few of the features and assets Tasty rocks the web design world with. 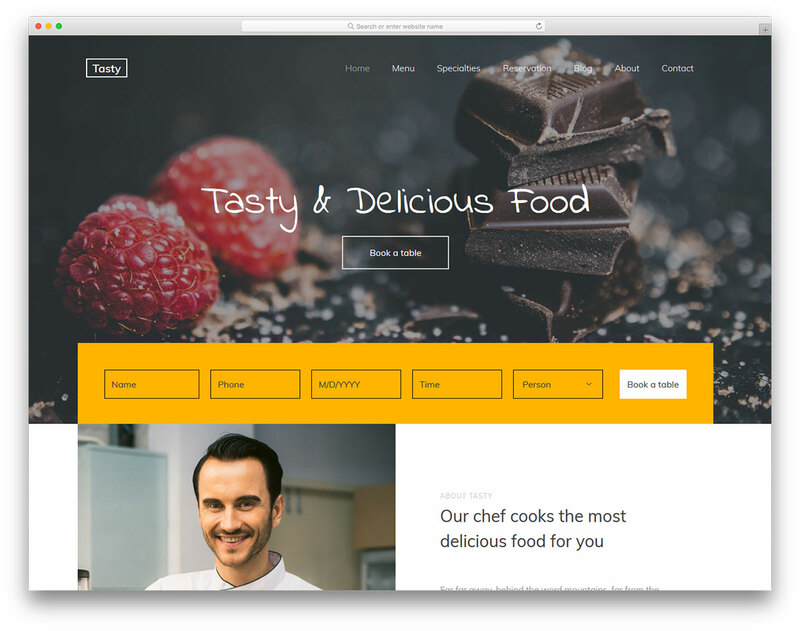 Make it your own, enrich it with your personal touch and let it follow your branding to reach the best results.